Both NBC and FOX have their upfront presentations today when they unveil their Fall lineup for the 2013-14 season and they sent out their Prime Time schedules in advance. 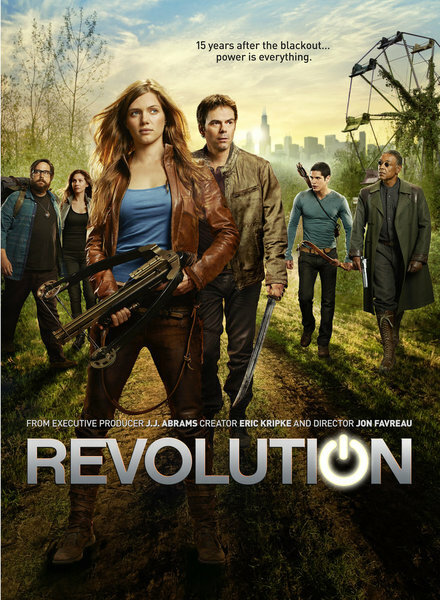 For NBC’s upcoming schedule, we see one major move for a genre show as Revolution (which will be returning for its second season) gets moved to Wednesday nights at 8 PM EST. This is a very interesting schedule change because that series–which started out the current season strong–fell pretty far by the end of the TV year despite its monster lead-in from NBC’s singing competition The Voice. Without its cushy Monday 10 PM EST timeslot, I wonder just how well this one–which turned into a ratings slacker at season end–will do having to anchor Wednesday nights for its network. If it has barely been pulling a 2.0 rating in the 18-49 demo these last few weeks with the network’s strongest lead-in, how will it manage to do any better out on its own? I see the possibility that this one could follow the same path as V and Touch, both of which started strong then fell fast and still received tenuous second season renewals before ultimately heading into cancellation. I’ve said it before, Revolution needs to retool because fans became disenchanted with it pretty quickly and NBC needs to give the show a major push going into next season, otherwise it could be gone by the time the Winter hiatus rolls around. In other scheduling moves, NBC will put Grimm back on Fridays at 9 PM EST (I never expected it to stay on Tuesdays) and will add Dracula in the 10 PM lead-out slot for that night. That latter series was announced by the network a while back, but it was uncertain up until now where it would land. The post-Grimm hour seems like the perfect fit and could help the network develop a fantasy block for the night. I had heard that Dracula (which will be helmed by Carnivale creator Daniel Knauf) will be a limited series, so I don’t know if they have a contingency to continue it if it does well in the ratings. If it does carry on, I’m thinking at mid-season they could add Hannibal to the night and have a pretty solid three hours of genre programming. As I mentioned previously, NBC has yet to make an announcement on Hannibal (the only show from this current season still awaiting word on its fate) and they have said that they will defer on making a decision for a few weeks. I’m guessing that property has some strong licensing ties and they don’t want to be too quick to cancel it when it seems to be developing a notable cult following. Personally, I think it would be a much better fit on one of the cable networks like FX (where it could pair up with the equally creepy American Horror Story), but joining Grimm and Dracula on Fridays might be a good move as well. Keep an eye on this site and the Cancellation Watch Twitter Site for the final word on that show. FOX also released their schedule for the upcoming season which includes the two new genre entries Sleepy Hollow and Almost Human (more info on those at this link). Interestingly, the network appears to have both of them set for thirteen episode runs instead of the twenty two episode stretch that the broadcast nets usually go with. But then that worked pretty well for FOX with The Following, so they seem to be continuing that trend with these new entries. Sleepy Hollow will take up The Following‘s Monday night post-Bones 9 PM EST timeslot in the Fall with the Kevin Bacon series set to return at mid-season. Then Almost Human will slip into the Monday 8 PM EST hour late Fall, I assume while Bones is on hiatus. This is probably not a bad way to go and these shorter runs are how many of the cable networks have been doing it for years (and FOX has made noise about abandoning the free airwaves and going to pay cable over the last few months). This will mean less padding for the shows and hopefully more focused stories that will keep viewers’ interest from waning. We will see how well this move actually plays out next season. There are more schedule announcements to come over the next few days as ABC is next up to present (tomorrow), followed by CBS (Wednesday), and The CW (Thursday). I will continue to cover where the genre shows land on the schedules over the next few days and will be compiling a full rundown of the 2013-14 landscape once everything is finalized. So stay tuned to this site and the Cancellation Watch Twitter Site.